Want to learn more about the Colorado night sky? Jim West, president and director of outreach for the 30-plus-year-old Colorado Springs Astronomical Society, says the best place to start is your own backyard. "While we do have a fair amount of light pollution, it's pretty amazing what you can see when you look up," he says. And you don't have to invest in a pricey telescope to get started with stargazing. Start by using just your eyes, West suggests. From there, binoculars will show you some amazing things. Another fun option: attending a local star party. 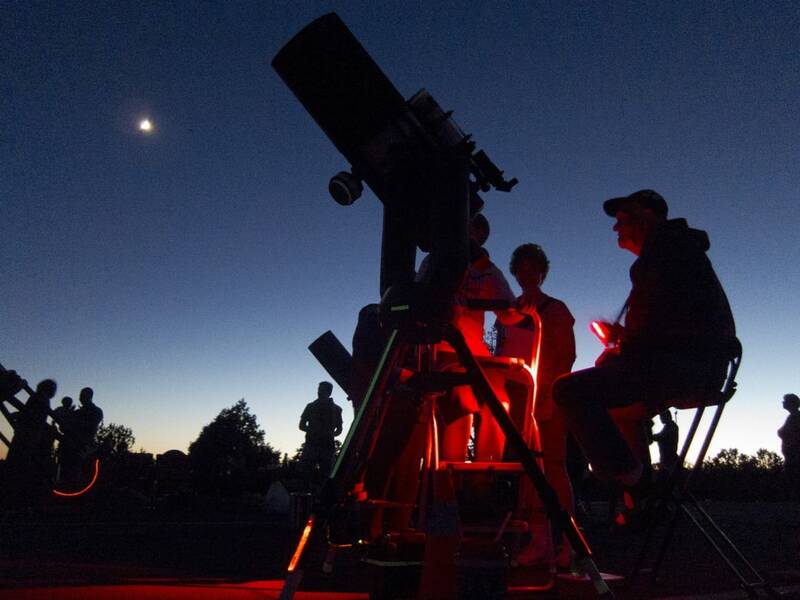 Monthly from March through November, CSAS hosts public star parties in one of four parks: Palmer Park, Bear Creek Regional Park, Fountain Creek Regional Park, and Fox Run Regional Park. 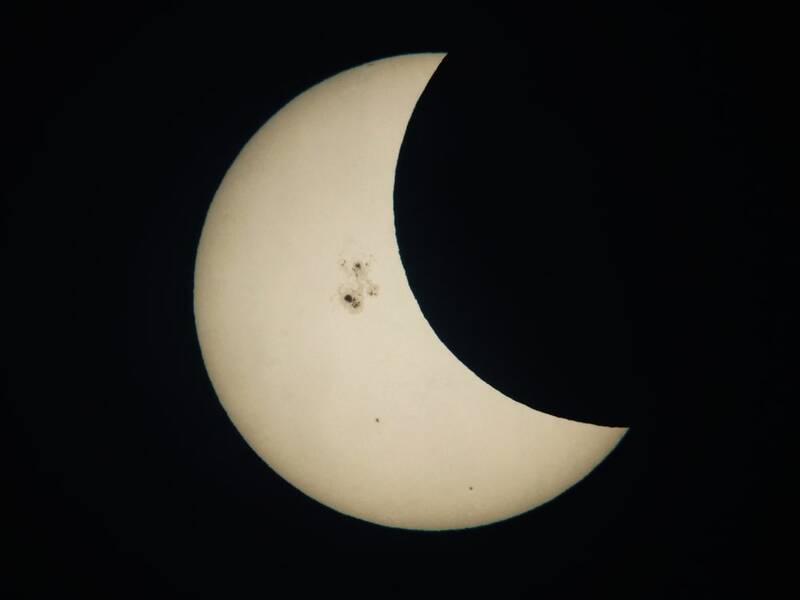 The next one, which is actually a sun viewing party during the day, is scheduled for July 5 at Palmer Park; a nighttime star party is scheduled for July 9 in Green Mountain Falls. Aside from the monthly star parties, CSAS hosts an annual Rocky Mountain Star Stare (the event has already happened in 2015, alas) and pop-up events. 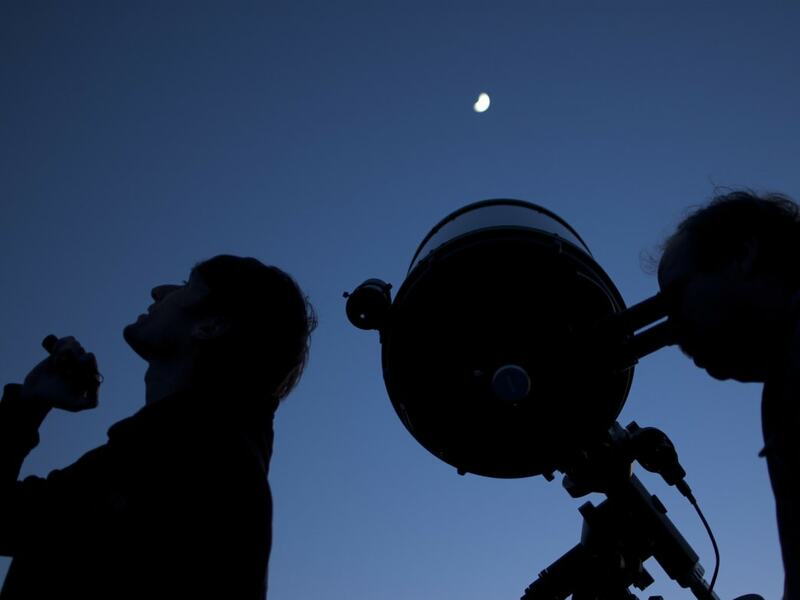 Upwards of 200 fellow stargazers attend each month to see what they can see. (Events are free; donations to the nonprofit are always welcome.) During the star parties and other events, West says up to 20 members will set up their telescopes for the public to use. "If the weather is cooperating, those attendees should expect some ooooos and aaaaaaahhhs," he says. And if you're a non-member with a new scope, bring it. CSAS will help you figure it out. West has two tips for potential star partiers. First, dress warm: "Since they will not be doing a lot of moving around, they won't generate enough body warmth and it does get chilly at night around here." Second, review CSAS' Star Party Etiquette beforehand, including information on flashlight use (hint: red lights are the least disruptive to night vision), arrival times, and having the best experience you can. "Ask questions!" West says. "We will do our best to answer them for you." These days (or, rather, nights), West says, "we tell and show folks that they are able to see four planets. That would be Venus, Jupiter, and Saturn—then we pause. It's usually the kids that figure out the Earth is the fourth planet they are able to see." As we move into summer, other night sky features, according to West, include the star Antares ("rival of Mars"), which is the Heart of the Scorpion; the Summer Triangle, which has its vertices of Vega, Altair, and Deneb; and, in the constellation Cygnus, Alberio. It's also a good time of year for showing M13, a globular cluster in Hercules. "It’s a cluster of about 300,000 stars all gravitationally attracted to each other and some of the oldest stars in the known universe—on the order of 12 billion years old," West says. If you're really loving what you see up there, and are considering buying your own scope, CSAS also has a loaner program with plenty of donated equipment that members can check out. "This works out well for [people who are] new to the hobby as it gives them a chance to use a telescope before purchasing one for themselves," West says. Of course, if you just want to learn a little more first about what you might see when you turn your eyes toward the sky, check out CSAS's two-minute "Looking Up! in Southern Colorado" weekly radio segments on the local NPR station, KRCC 91.5 FM. As host Hal Bidlack says: "There are lots of reasons to look up." Written by Kirsten Akens for RootsRated.